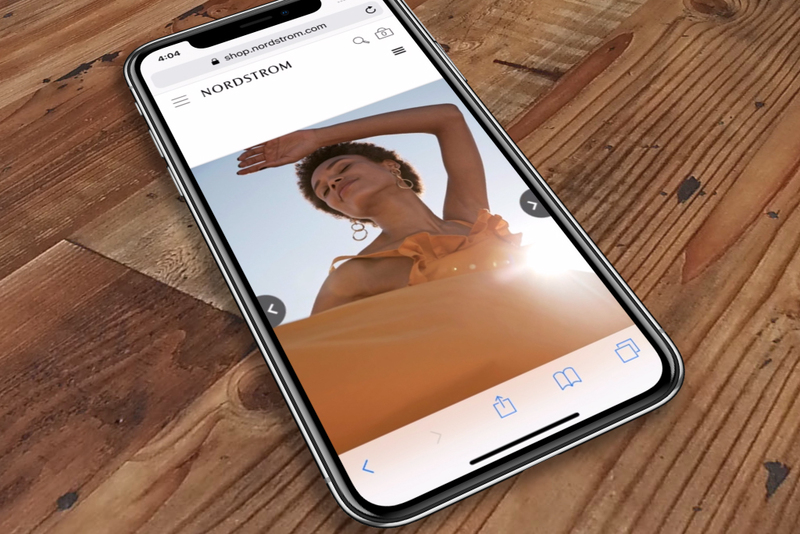 Nordstrom selected Syndeca to bring their brand to life everywhere online with a comprehensive multi-channel digital catalog program, including shoppable catalogs and lookbooks on Nordstrom.com, “The Catalogs” app, and Nordstrom’s own Full Line Store app. In addition, Syndeca has provided custom shopping apps for various programs over the years, including their annual Anniversary sale and in-store apps for their sales associates. 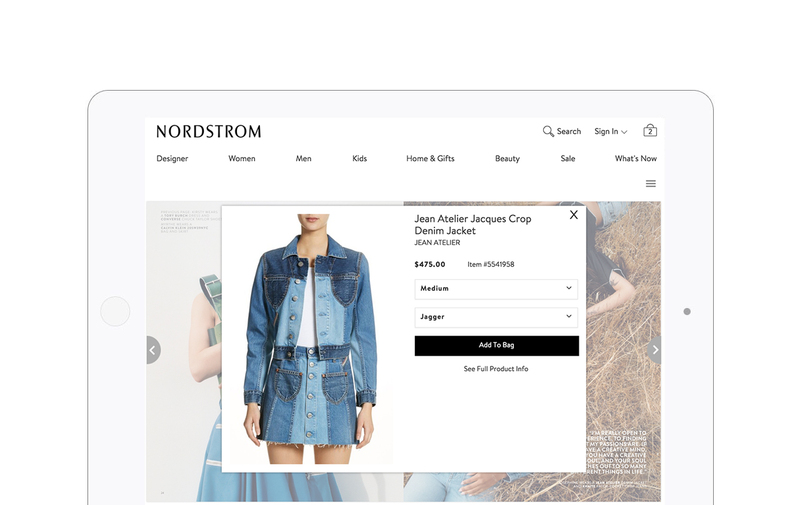 Syndeca’s technologies are customized and adapted to provide seamless solutions to meet all of Nordstrom’s needs, and let consumers engage with the brand however and wherever they choose. Our Scan + Shop capability allows buyers to scan images in the physical world (such as a catalogs, ads or in-store signage), and link instantly to a digital, shoppable experience on their phone or tablet. We provide a responsive HTML5 experience for desktop, tablet, and mobile and offer both employee- and consumer-facing apps for iPad. 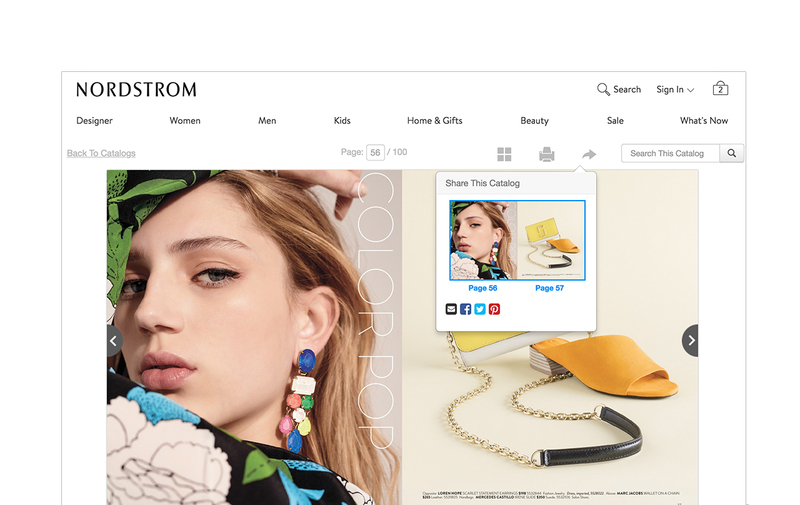 Open API’s enable “shop the catalog” functionality within Nordstrom’s brand-developed iOS apps. Customers can shop socially too, sharing favorite finds with friends via email, Facebook, Twitter or Pinterest.